ZanTours is always striving to remain on top of its game and do what no one else has done before. Hence we are constantly creating new ideas and services to offer to our clients. Our industry is very diverse and so are our clients. Consequently, we realized, that it is important to cluster the needs of certain special clients into specific brands. Our management team is not only experienced, but also passionate and dedicated. For this reason, we were able to create and launch four brands, serving completely different markets and guests. All four are under the roof of ZanTours to assure the high quality standards of our company. They are serving to the unique and specific needs of each and every guest of ours and are surely fueled by the experience and passion of our team. Our MICE department, established in January 2015, provides the full range of a full service MICE agency to corporate clients. However, the vast majority requested by our clients are surely conferences, incentives and events. But also educational trips for our tour operators are a specialty of this department. Our upmarket department, called ZanTours Finest, was established in June 2016. It was again the answer to the demands and needs of our agents in providing a portfolio for upmarket clients. 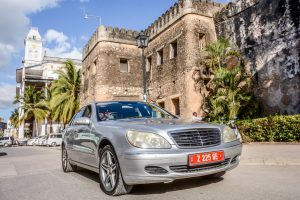 It is not only about having the only luxury vehicle fleet on the island, it is more the expertise to satisfy clients with their high demand in tailor made holidays. Zanzibar is not only well known for weddings and honeymoons, moreover the demand beyond a wedding arranged by a hotel has increased. And ever since the department launched in the beginning of 2016, our wedding team became extremely busy as only ZanTours Weddings can provide the infrastructure, expertise and moreover has the dedication for the Event of your life – your destination wedding. 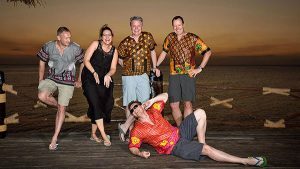 Our latest brand, ZanTours Adventures, reflects the diversity of Zanzibar. We show you hidden places, un-visited historical sites and moreover we let you have your unique adventure experience of your holiday. During the Jeep Tour, an excursion of this brand, you will drive yourself in a convoy behind our leading Jeep. 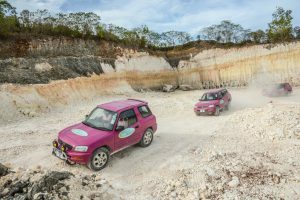 Experience to drive a full modified Jeep and enjoy the off roads on Zanzibar.